The best snack, enjoy the Tim Tam Fingers. 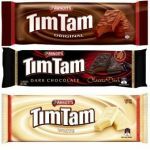 The TimTam is a crunchy biscuit with cream filling, topped with chocolate. Dip the biscuits in coffee, tea, milk or hot chocolate and experience the Tim Tam Slam. Get ready for the classic chocolate, the double coat and the chewy caramel as wel as dark and white chocolate varieties, special editions and other delicious Arnott's products. The newest trend in the wedding world! The wedding season has started again and what could be nicer (and tastier) than selecting and tasting your wedding cake. But why choose a cake when there is so much more. Discover the latest wedding trend of 2019, the COOKIES BAR! 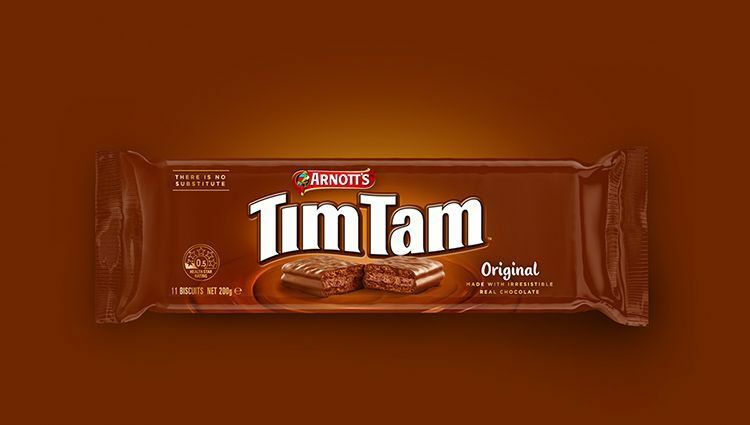 It has taken a while, but our stock has been supplemented with the tastiest Tim Tam cookies. We expect a new delivery of the Shapes from April. Arnott’s Shapes are a healthier option than baked or fried chips and are ideal as a tasty snack. Do you want to receive notifications about our newest treats and sales? Never miss a special deal or sale by following us on Instagram and Facebook.